Every family has a story, and the Hobbs’ story includes 2 hopeful chapters about embryo adoption. After years of struggling with infertility, Ginny and Phillip decided to move forward with a “snowflake” embryo adoption. 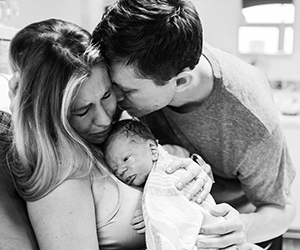 Their first try resulted in a miscarriage, but they tried again and found out Ginny was pregnant with a baby boy – a baby boy they named Tripp. Just a few years later, Ginny would give birth to another “snowflake baby,” Evalynn. To read more of the Hobbs’ story, originally featured on FirstCoastNews.com, click here.